The report by special counsel Robert Mueller has been delivered to Attorney General William Barr. None of it has been released to the White House, the Congress, or the people. But that hasn’t stopped feverish exclamations by devoted Trump-fluffers who insist that Trump has been exonerated despite the fact that they know no more today than they did yesterday. The Trump cult is already making ludicrous demands for apologies to the President who is still facing criminal investigations from at least seventeen separate agencies. Never mind that it is Mueller who deserves the apology from Trump, who has been viciously maligning him for the past two years. Mueller, however, has not been intimidated. He has secured dozens of indictments, and seven guilty verdicts from among Trump’s closest associates. Trump’s Twitter silence signifies that something extraordinary is afoot. Either he knows that the Mueller report contains more incriminating revelations, or he dropped his phone in the toilet while attempting to rage-tweet about “fake news.” Or maybe he got an early warning about the new poll by his favorite cable news network, Fox News. Because the results from that survey are devastating. The least surprising data from the poll is that Trump continues to languish as the most unpopular president in modern times. His approval rating is a dismal forty-six percent, with a majority fifty-one percent who disapprove. But when we dig deeper into other opinions and policies, things get even darker for Trump. Fifty-one percent of Americans are against Trump’s idiotic vanity wall on the southern border. And his declaration of a phony national emergency to fund it has a disapproval of fifty-nine percent, with only thirty-six percent in favor That’s a twenty-three percent deficit. With regard to the Mueller investigation, a majority of fifty-two percent approve of it, and a whopping eighty percent want it to be released publicly. The American people have far greater trust for Mueller (45%) than for Trump (29%), even after his prolonged campaign of character assassination. And a plurality of forty-four percent believe that Trump conspired with Russia, while an outright majority of fifty-two percent say that he has obstructed the investigation. Once again, this is the latest poll from Fox News! 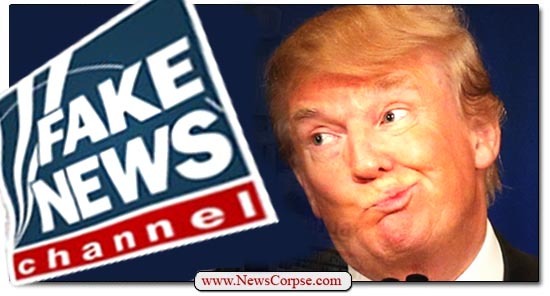 Trump has also been faring poorly with his approval rating at the ultra-biased, right-wing pollster, Rasmussen Reports where he now sits at a pitiful forty-five percent. A month ago he was bragging about Rasmussen’s approval rating, but it’s unlikely he’ll be doing that now. So even if Mueller’s conclusions fail to suggest that an indictment would be warranted, there is still plenty of cause to continue investigating and even to consider impeachment, which relies on a completely different set of standards. And the woefully premature celebrations by Trump’s wingnutty disciples just seem to be more worthy of ridicule with each passing hour. Ironically, it’s Trump who is demonstrating the appropriate measure of discretion by keeping his mouth shut – for a change. But don’t expect that to last.